A fair just isn't a fair without the sight and smell of cotton candy, in its unnatural hues of blue and pink. 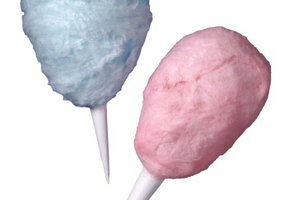 Aside from its colorings and flavorings, cotton candy is just plain old granulated sugar. Dry additives give it its flavor and aroma, either in premixed, ready-to-use form or as a powder that can be added separately to a sack of sugar. 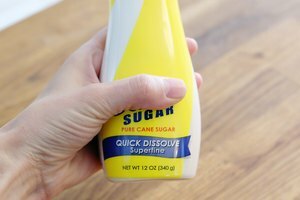 The magic isn't in the sugar itself, but in the production method. Pastry chefs and skilled home candymakers have known for centuries that if sugar is heated to just the right temperature, it can be turned into delicately gossamer filaments. The process is time-intensive and therefore expensive, on a commercial scale, but around the turn of the 20th century American inventors found a better solution. Their machines melted the sugar, then spun it at high speed through holes in a rotating chamber. 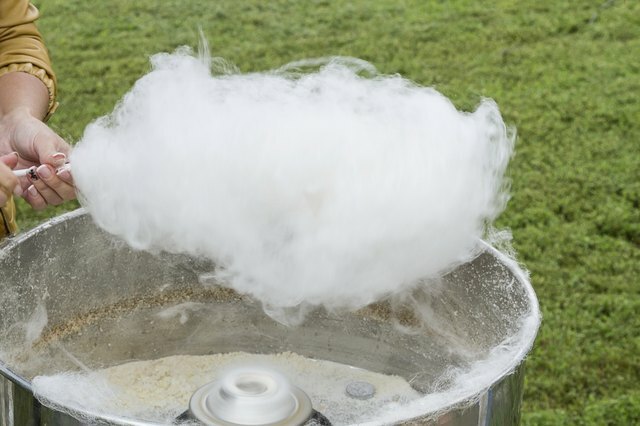 The fine-spun sugar hardened into threads when it hit the air, producing a treat first known as fairy floss or candy floss. Large commercial candy floss models are designed to work with ordinary granulated sugar, which is inexpensive and plentiful. Smaller machines are available for home use or avant-garde restaurants who wish to experiment with the sweet treat's potential. 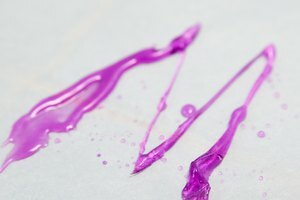 For example, spinning untinted vanilla sugar would produce white cotton candy with a delicate vanilla flavor, which could be used as an element in an upscale dessert. Some of these smaller machines work best with superfine sugar, so check the instruction manual before preparing your first batch. 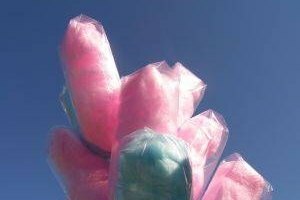 The Straight Dope: Who Invented Cotton Candy?